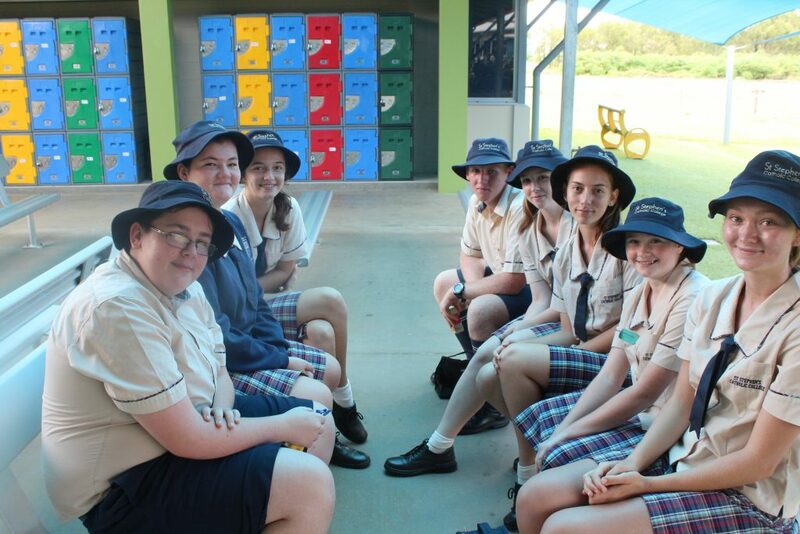 St Stephen's Catholic College, Mareeba > Latest News > Welcome to St Stephen’s for 2019! Welcome to St Stephen’s for 2019! The 2019 academic year has commenced with much enthusiasm. St Stephen’s Catholic College welcomed the year seven and year twelve cohorts on Tuesday 29 January, with all cohorts returning on Wednesday 30 January . At the first college assembly for the year, Mrs Pinese welcomed those year twelve students from 2018 who could attend and congratulated them on their OP 1-5 achievement. 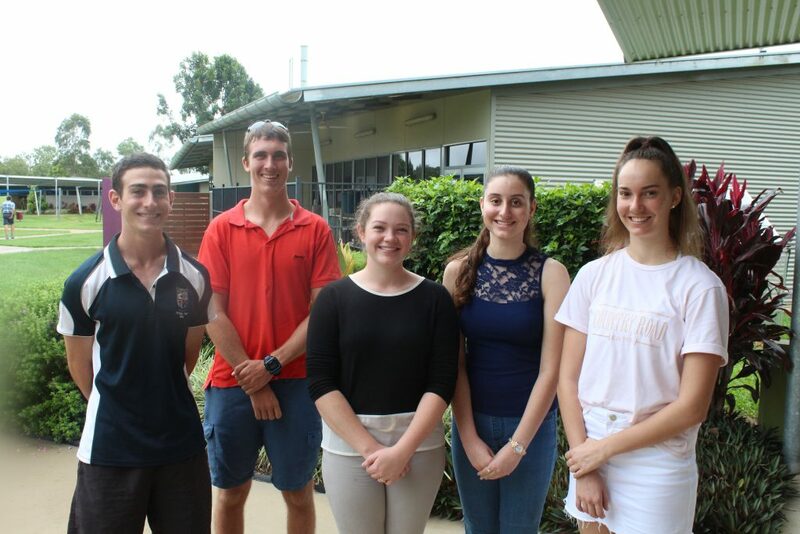 From left to right: Dylan Cappella (OP 3 – will study Engineering at JCU), Moses Hannett-Wade (OP 4 – will study Engineering and Science at QUT), Lauren Davis (OP 5 – will study Chiropratics at RMIT), Ellana Spena (OP 1 – will study Medical Imaging at QUT) and Elena Pilat (OP 1 – will study Medicine at JCU). Nine other students achieved OP scores between 1 and 5, but were unable to attend the assembly due to other commitments. 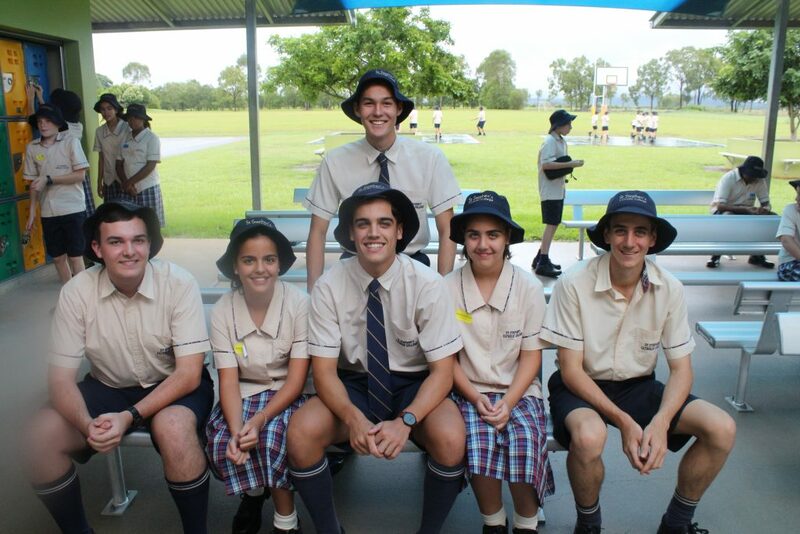 Jake Priestly, James-Dean Cummings, Serg Battistin and Liam Pozzebon welcome twins, Isabella and Georgia Battistin to St Stephen’s Catholic College. 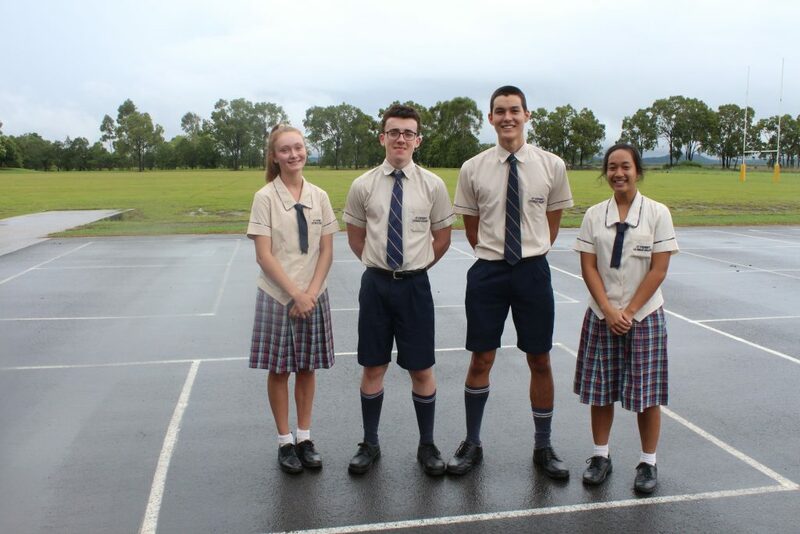 2019 College Captains, from left to right: Kyrah Johnston, Jonah Williams, Jake Priestly and Deborah Hermanus. Year seven student, Emily Howard with year twelve students, from left to right: Rhett Pritchard, Nicola Jennings, Daniella Montagner, Benjamin Struthers, Kaitlyn Oliver, Skyla Sue, Emily Howard and Kyrah Johnston. 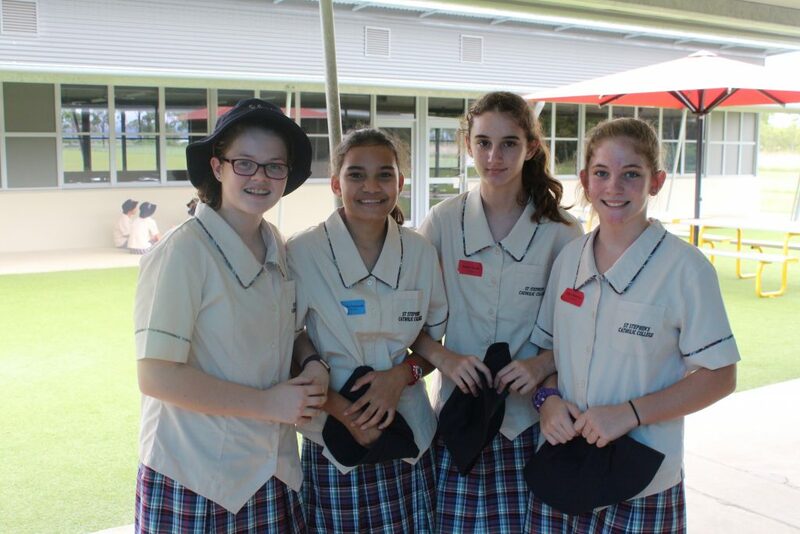 Year seven students during second recess, from left to right: Emily Dixon-Mills, Isabella Diamond, Nimala Clarke and Kiara Ramscar.